On February 9th the Everleaf Poker Network announced it would be leaving the US market, and since that time the network that comprises over 100 small poker sites has been eerily quiet on precisely what occurred and what the status of US player deposits and withdrawals currently is. Well, on Friday the site issued their first statement regarding the matter, stating that US funds were in fact seized, but the network will refund all players in full. “As has been reported, certain funds maintained by one of our payment processors to be distributed to U.S. customers were seized by U.S. authorities. To our knowledge, the U.S. authorities seized these funds and blocked the transactions based on purported violations of certain U.S. laws, including operating an illegal money transmitting business, the Wire Act, and money laundering. Evidence relative to the subject can be reviewed from the attached papers. “Please be advised that this seizure occurred in the United States and only affects U.S. players. “In view of the above, Everleaf will no longer accept U.S. players. 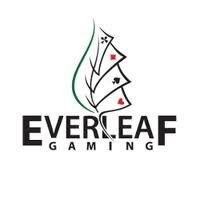 Nonetheless, Everleaf reiterates and wants to reassure all the effected players that all the funds will be refunded in full and the effected parties will be contacted in a short while accordingly. “For the other markets we operate in and with regards to all our other players we want to reassure you that nothing has changed and thank you for the continued business with our Company. According to court records, the payment processor in question, Causash Establishment, had 14 days worth of transactions seized by the government, and after this time the Everleaf Poker Network received a Cease and Desist order from the US Department of Homeland Security. The poker world, US Everleaf Poker players in particular, are crossing their fingers that Everleaf is more in line with PokerStars than Full Tilt Poker. After over two years of anticipation and plenty of playful back-and-forth trash talk, Bertrand “ElkY” Grospellier and Lex Veldhuis of Team PokerStars Pros are finally about to make good on an unusual prop bet – a real, full-contact kickboxing match. It was recently announced that the epic fight will occur on November 22, and the rules have finally been established as well. The “fighters” will engage in five rounds of kickboxing, with each round lasting three minutes. A tie will be declared unless one fighter is either knocked out or throws in the towel. ElkY and Veldhuis will be allowed to throw punches and spinning kicks, but kicks below the belt, elbows and headbutts will not be allowed. A referee, yet to be identified officially, will stay in the ring to ensure that the rules are followed and to declare a knockout, should it occur. Veldhuis has already started pumping up his chances of winning, saying that he’s the more natural athlete and the more experienced fighter, and that Grospellier appears uncoordinated. Indeed, it’s unlikely that Grospellier ever imagined he’d be engaging in a spectator kickboxing match when he was earning his living as a professional Starcraft player. Don’t count ElkY out just yet, though – apparently, he’s been logging plenty of hours at various kickboxing training camps, and even Veldhuis admits that Grospellier is in better physical shape currently. 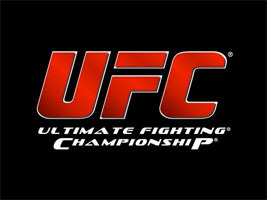 I’m back with my picks for the upcoming UFC 112 on April 10th, 2010. Based on the UFC 112 odds, here’s the 2 picks I’m looking at for UFC 112. I’m going out on a limb for this fight. I think Hughes is going to win, but the value in this bet lies with Gracie. At +350, I think this is a bet that I would win 1 out of 3 times. Matt Hughes has been on the down turn, as he’s 2-3 in his last 5 fights. Although 2 of those losses are to GSP, I still think he’s on his last limb and Gracie is a good value bet in this spot. This card has a lot of juicy underdogs on it, which I will definitely be laying some money on! If you’re new to MMA betting, my first rule of advice is to stay away from heavy favorites. That’s the quickest way to lose your money and ruin your night. Here are my picks for UFC 109…. This moneyline shocked me when it came out. I think they’re giving WAYYY too much credit to Couture in this one. I could see him being a -300 or -325 favorite, but to say he’s a -430 is pretty crazy. Coleman is definitely not on the same level as Couture when it comes to conditioning (and fight skill in general), but when I see an underdog that has a legit chance at winning and I’m getting more than 3-1 on my money, I’ll be laying some coin on him. Adding a little sports betting into your arsenal is a good way to make more money as an online poker player. Most people are confused when it comes to betting on MMA fights, but ther are actually pretty wasy to learn and make money on. The biggest mistake most bettors make is they try to win money by betting on the big favorites (-300 or more). This is the worst strategy because the big favorites don’t win enough over the long term to be a profitable bet. Instead you should look for value in the underdogs. Underdogs who are in the +100 or +200 range are usually a good bet. Also finding underdogs who are up against a very popular favorite are usually a great bet.